Belief in the deity of Jesus Christ is essential to salvation (Romans 10:9; John 8:24). 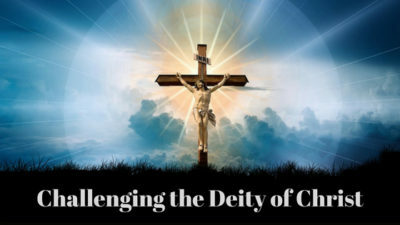 Yet, this precious doctrine is attacked mercilessly not only in the west but even within the “Christian world.” In this article, I will be presenting the arguments and Scriptures used by these opponents against the deity of Christ. Answer: Jesus Christ as man had both flesh and bones but as God, He was spirit. This objection arises from the problem of the dual nature of the Savior. In order for the invisible God to become visible, He must become flesh and bones. Jesus assumed flesh and bones merely for the incarnation. As God He is eternal but to be our Redeemer it was necessary that He become a partaker of humanity. a) Jesus is a dual personality. b) God was manifest in the flesh. Answer: Jesus as a man had a beginning when He was conceived of the Holy Spirit but Jesus as God is without beginning and without end. Answer: The correct translation of Revelation 3:14 is something like this, “He was the witness of the beginning of the creation of God.” Jesus is not a creation but a witness of the creation. We find no evidence in the Bible that the Father created Jesus or that Jesus is a “lesser God” than the Father. The Bible reveals that from eternity Jesus has the same substance, glory, power, and authority as the Father and the Holy Spirit. When Jesus is called the “first born of all creation,” it does not mean that Jesus was created. Rather, it speaks of the preexistence of Christ. He is not a creature but the eternal Creator. A created being cannot and will not receive worship due only to God. Answer: Hosea does not say God could not assume human form of the body and flesh. Nothing is too hard for God (Jeremiah 32:17-18). Since God is all powerful He can be manifest in the flesh. Here’s a video of Nabeel Qureshi answering a Muslim’s question on the Trinity. 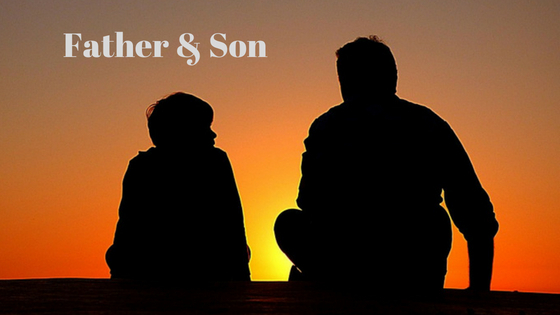 Answer: The relationship between Jesus and God the Father has always been that of a “father and son.” So it’s not surprising that even as the human person, Jesus called God His Father. In Hebrews 1:8, God calls Jesus “God” but that does not lessen the Father’s position of deity. Answer: Jesus volunteered to come. But even so, the Father sending the Son to earth does not lessen His position as the Almighty God. The co-equal, co-eternal persons of the Trinity are one in divine nature. However, each divine person has a distinct role in salvation and a voluntary submission of roles in the work of redemption. The Son took on human flesh and submitted to the Father by giving His life on the cross. Answer: God the Father and Jesus have the same exact nature; they’re both divine but their relationship is different. God the Father is the head of Christ because Christ was eternally begotten of the Father. But this does not mean that the Father is greater or higher than the Son. In a triumvirate, it is necessary that one be the chairman but that does not mean that he is greater than the other two. The Father, Son, and Holy Spirit are equal but for administrative purposes, the Father acts as the executive administrator. Answer: When we call Jesus the Son of God we mean that He is of the same nature as God. Fathers create things unlike themselves, but they beget sons like them. When you make (or create), you make something of a different kind from yourself. A bird makes a nest, a beaver builds a dam, and man makes a computer. But when you beget, you beget something of the same kind as yourself. A man begets human babies, a bird begets eggs which will turn into little birds, and a beaver begets little beavers. So when we say, “Jesus is the Son of God,” we simply mean that Jesus is God. By conversion, we become a “son of God” (John 1:12), but Jesus Christ is the “only begotten Son of God” (John 3:16), a unique and special position. God’s Son is equal to the Father (Philippians 2:6), and the saints become an heir with Christ. Answer: Jesus was, always has been, and always will be God. As God, Jesus has the same power as the Father and the Spirit. When Jesus said that all power and authority has been given to Him, that would include the power that brought the universe into existence. In Philippians 2:5-8, the Son surrenders this power and God restores or returns it to Him after the resurrection. It was always His but He voluntarily yielded it. Answer: How could Jesus be made Lord if He was already the Lord? Jesus was not made Lord by God in the sense that He was made into something He was not already. He was not made Lord in the sense of a promotion. Acts 2:36 is dealing with Jesus’ status as a man-made under the law and in a lower position. It is in that sense that He was made Lord and Christ by God the Father. Answer: John 14:28 has often been thought to mean that Jesus is something less than the Father. However, this statement is not referring to Christ’s nature but rather His position. When Jesus came to earth, He came in the form of a servant. He voluntarily chose subjection; it was not imposed on Him against His will. Answer: People say that Jesus can’t be God because He died and God cannot die. We have to understand that Jesus has two natures: God and man. It was the human nature that died on the cross, not the divine nature. Jesus as man died but Jesus as God could not and did not die (Hebrews 2:9, 14). In the person of Jesus Christ, who is a man with the divine nature, we see a biological death, not the death of the divine being who is God. Answer: This objection ignores the fact that the Son co-exists with the Father; they are one. 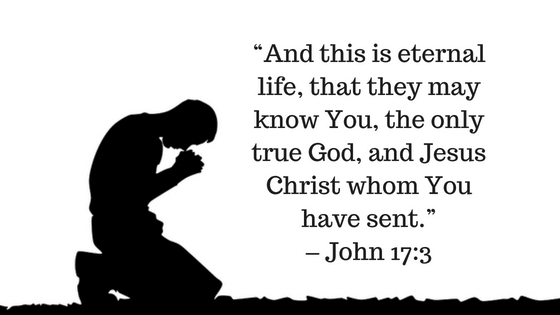 We need to understand that the Father and the Son had an eternal relationship before Jesus took upon Himself the form of a man. Being fully equal with the Father in nature, Jesus’ manner must be seen more as a supplication and conversation rather than a lesser being who is praying to a greater being. Nothing has changed after 2,000 years. The attack against the deity of Jesus Christ persisted up until today. While the Bible clearly teaches that Jesus Christ is God, there are still many groups that deny His deity. From Muslims who teach that Jesus was just a prophet, to the Jehovah Witnesses who reduce Him into a messenger sent by the Father. The doctrine of Christ’s deity is important to the Christian faith as it not only authenticates the authority and inspiration of Scripture; it also the basis for a believer’s eternal salvation. In other words, if Jesus is not fully God, we have no salvation and ultimately no Christianity. The Trinity is a basic teaching of the Christian faith. It defines God’s essence and describes how He relates to us. The Forgotten Trinity is a concise, understandable explanation of what the Trinity is and why it matters. It refutes cultic distortions of God. It shows how a grasp of this significant teaching leads to renewed worship and deeper understanding of what it means to be a Christian. And amid today’s emphasis on the renewing work of the Holy Spirit, The Forgotten Trinity is a balanced look at all three persons of the Trinity. They way I see it is “God so loved the world He gave His one and only begotten Son so that we may be saved” (John 3:16). We are all sinners and God does not allow sinners into His kingdom — though out of pure love He sent a Savior to us so that we could be reborn and go to heaven. Jesus lived a perfect life and sacrificed His own life so we wouldn’t have to. And what makes Christianity different from every other religion is that it’s the only one where you can not work your way to heaven with good results — but are given the gift of eternal life due to God’s mercy. Hello Michael, thanks for sharing your insights. You’re absolutely right! The Bible tells us that God sacrificed His only begotten Son Jesus so that salvation will become available to all who will repent and believe in Him. So to say that Jesus is not God is inconceivable, for only God can save the world. While it’s true that Jesus is 100% man, He’s also 100% God, which qualified Him to become the Savior of the world. No mere man can possibly save the world from eternal condemnation in hell. Jesus is God no matter what other people say and believe because the Bible clearly declares it. The Father is God, the Son Jesus is God and the Holy Spirit is God. But there are not 3 Gods, only one, Yahweh, who eternally exists in three co-equal, co-eternal and co-powerful persons. It’s hard to comprehend but because the Bible says so, we need to just believe it. Yes, Christianity is different from all other religions because we are saved not by what we do but by what God has already accomplished on the cross, hallelujah! God’s love for us is truly amazing that even though we are not deserving, He saved us anyway because of His unconditional love. Praise His wonderful Name! I absolutely love your website and the subject matter ! In today’s world it’s almost taboo to discuss the Bible, or our faith and beliefs in it, much less mention the name of Jesus anywhere ! It’s refreshing and I want to thank you for your hard work! You’re absolutely right, Mike. Sharing our faith and Jesus to others and citing the Bible as authoritative is sure to get us in trouble. Others often call us bigots and judgmental too for even mentioning Jesus. However, Christians need to keep sharing Jesus and the good news of salvation so that the people who are in the dark will come to see the light as well. I think one of the things that turn people off is when Christians themselves do not see eye to eye on who Jesus really is. Let’s face it, many who claim to be Christians do not believe that Jesus is God; they believe He’s the way to the Father and the means of salvation but have difficulty in accepting His deity. You have given such a detailed explanation in Argument Against the Deity of Christ perhaps, the Trinity. In my opinion, there’s no spot that comes fit for discussion or to even question about it. Christ was before Abraham – many centuries before He was even to be conceived by the Virgin Mary (Preeminence). He incarnated in the form of a man (Jesus) to show He (his father) existed before the creation of the world, and to make men realize that there’s a true Creator of everything we see in this universe. And that our body also dies while the spirit will not! Where does the spirit go then? The Bible teaches that the spirit will join the Holy GHOST in Heaven according to the works done on earth. Finally, there’s no other gods who can raise people from dead like Lazarus was. There’s no other gods who flare up pillar of fire to guide his people walking in the night, or drying of oceans for them to pass through, etc. So, there should be no argument that Christ is the TRUE Deity existing in TRINITY. Thanks for sharing this. Spread the news and share the love. Thank you so much for taking the time to read the article and for sharing your thoughts on one of the most controversial topics about Christ, his deity. What I don’t understand is why people, even those who claim to be Christians, do not believe that Jesus is deity; that Jesus is God as the Bible clearly teaches. I guess the biggest problem that most people struggle with is understanding how Jesus can be 100% God and 100% human; and how God can exist in three distinct personas. But just because we do not read anywhere in the Bible the word Trinity does not mean it’s not biblical. I find it really disheartening to hear Christians say that they do not believe Jesus is divine and they use the arguments I mentioned in this article to defend their claim. Because if we really believe that the Bible is the Word of God, we must submit our thoughts to it instead of using it in support of our own personal notion. The Trinity: the Father, Son and Holy Spirit are co-equal, co-eternal and co-powerful, and they have their own role in the creation as well as in the salvation of mankind. While I do not agree with you that works have something to do with where we will be spending eternity after life on earth because salvation is a gift of God that we receive by grace through faith in the Lord Jesus Christ (Ephesians 2:8-9), we are on the same page as to the death of our physical body and that our spirit and soul will go straight to God in heaven or to hell at death, depending on whether one has accepted God’s offer of salvation based on the finished works of Christ. Thanks again for visiting, more blessings to you! This debate as to the deity of Jesus stems mostly from poor translations over the years. The bible was not originally written in English, for us to fully comprehend the message we have to learn to read it in its original format. Kind of like a poorly dubbed foreign film. You will never fully understand until you have understood the original. I think people each have their own perceived ideas of God. Most think of him as a single being rather than the trinity, mainly because that aspect is not as highly focused upon in most churches. When you separate God out as a single being then the Son and the Holy Ghost lose some of their impact. It is only when seen as a trinity that the full scale can be comprehended. The modern day translations are not as detailed and focused in the area of the trinity. They have lost some of the impact over the years with the many translations. You’re absolutely right, in order for us to fully comprehend what God is telling us about Himself through His revealed word, the Bible, we need to have a good translation. Reference books and commentaries are also great tools. However, I believe that no fundamental doctrines of the Christian faith, including the Trinity, was altered in the modern translations. Regarding those who do not believe that God is tri-person, I would have to say that perhaps, they haven’t really read through the Bible. A Messianic Jew who tried to find Jesus and the Trinity in the Old Testament was amazed to discover that Jesus is all over the Old Testament. Christians must be properly taught sound Bible doctrines, such as the Trinity, and must be equipped to defend them. I find it very disheartening that many who call themselves Christians do not believe in a Triune God, when it is exactly what the Bible teaches. Is God in Complete Control of Everything?